 We send newly fresh and beautiful contents to your inbox regularly. Enjoy each premium newsletters in your mail. 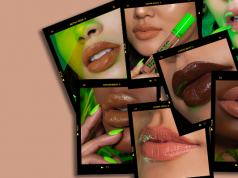 One of the quirkiest (and thirstiest) brands in the market, theBalm Cosmetics had relaunched on Nykaa a few days ago. The cause of the relaunch is unknown, but at least there are a lot of things back in stock! Here’s our picks from the lot, if you wanted to give the brand a go! Adds a subtle glow to your face. 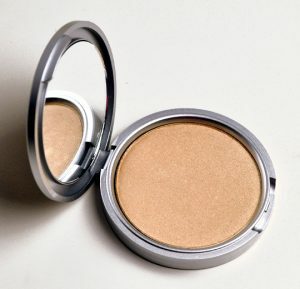 Subtle shimmer that highlights your face beautifully. Can be used as a highlighter and eye shadow. Finally, a Caribbean getaway in a compact! This matte bronzer creates the look of beautifully tanned skin without any orange undertones for a fresh-off-the-beach glow. 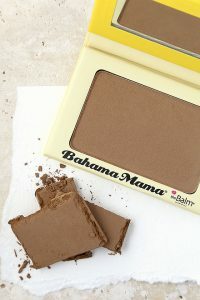 Bahama Mama also doubles as the perfect contour powder, neutral brow-filler and matte brown eyeshadow. Yes, this tropical beauty keeps busy! A lightweight tinted moisturiser that gives a flawless, natural look! 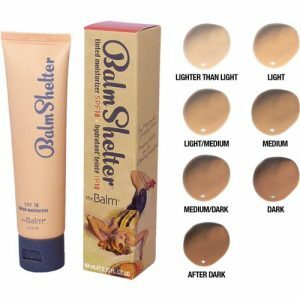 theBalm BalmShelter Tinted Moisturizer is a weightless, silky-smooth tinted moisturizer with SPF 18 , that offers sun protection for everyday drama while helping to improve the look of your skin’s tone and texture, leaving you with a polished complexion all day long. Gives clear, smooth and flawless skin with complete sun protection. Sun protection with SPF 18 that guard the skin from UVA and UVB harsh sun rays. Keeps the skin moisturised and hydrated all day long. Weightless, silky-smooth formula with no greasy feel. Improves the look of skin tone and texture. 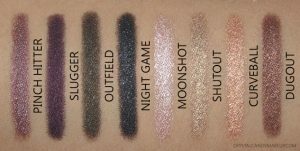 For girls who know how to play the field, introducing Batter Up, the long-wearing cream shadow sticks from theBalm Cosmetics! 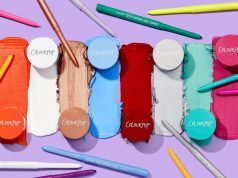 These high-pigment shadow and base multi-taskers come in eight blendable and buildable shades – score! Batter Up is formulated to guarantee you’ve got your winning face on, even after extra innings! Long-Wearing, easy to blend and build. 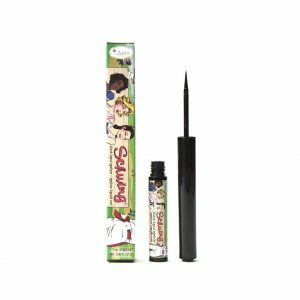 Lining and defining eyes has never been easier! Built with a uniquely thin and tapered felt-tip applicator, Schwing gives you careful control over subtle strokes and bold lines. Create winning looks with this rich, matte-black finish that won’t smudge, flake, or take forever to dry. Cool and compact, Schwing fits wherever you need it. Whether you’re home or away, get ready to bat those eyes and play the field! 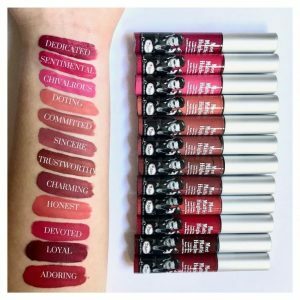 Is your lipstick relationship complicated? Then it’s time to Meet Matt(e) Hughes, our collection of liquid lipsticks that come in 18 swoon-worthy shades. With a matte finish and long-lasting formula, your color will stay true, without being clingy. A voracious addict of everything beauty, little did I know I would be treading down this path. Started off as a dentist, occasionally dribbling in the arts. Now full time Instagram browser and money spender. They say money doesn't buy happiness. I disagree. They probably didn't know where to shop. Your wardrobe is an expression of your chic tastes, latest, contemporary or otherwise. Be it fresh off the streets of Milan, a designer who lives next door, or from the trendy East, we at StlyeGods bring you the latest happenings about all things fashion!! © 2018 Intonate Publishing Group. All rights reserved. We send fresh and beautiful content to your inbox regularly. Enjoy each premium newsletters in your mail.